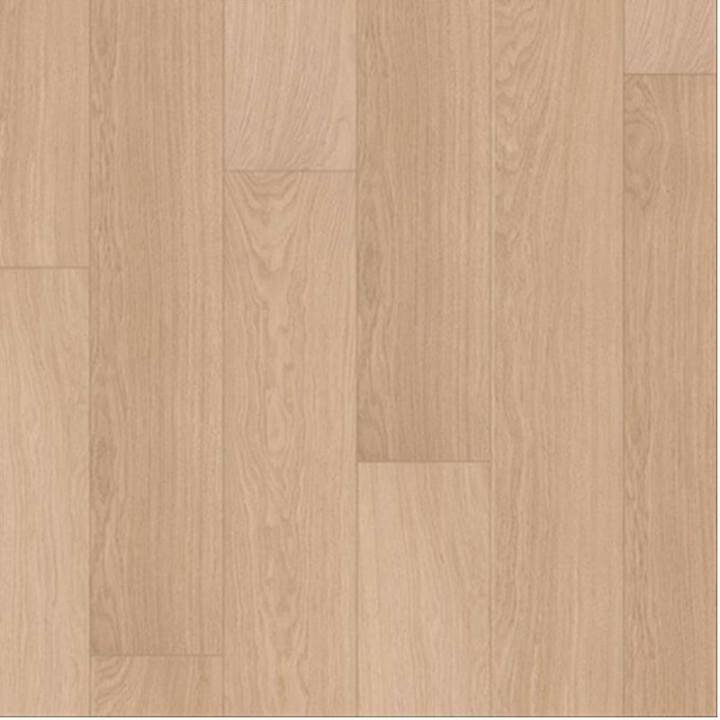 Enter the world of Quickstep Laminate. 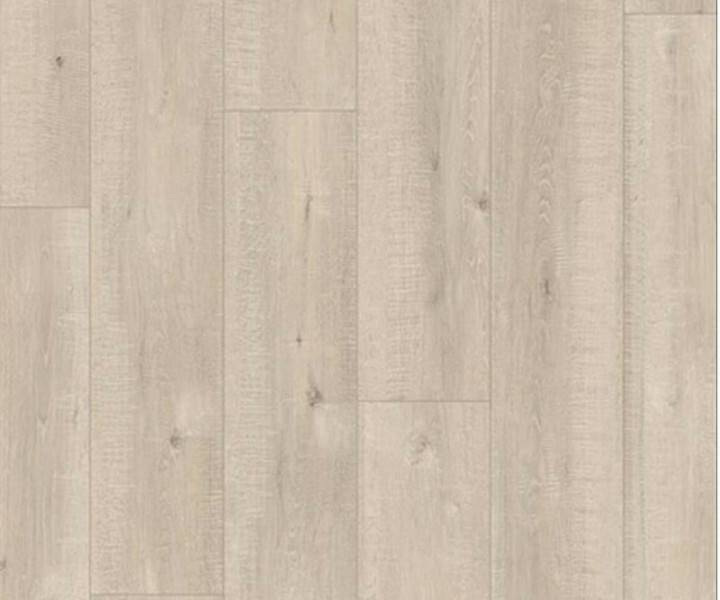 Quickstep Impressive Ultra white varnished oak laminate flooring is crafted from the finest material with a silk finish. 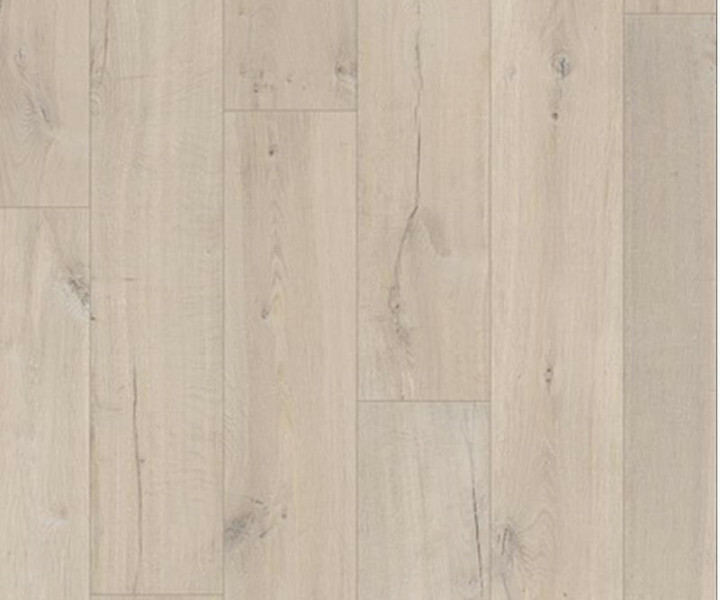 Laminate has never been so true to nature, the colour, design and structure carry on through the bevel, giving the look of real wood. Water resistant with HydroSeal water-repellent coating on the bevels. 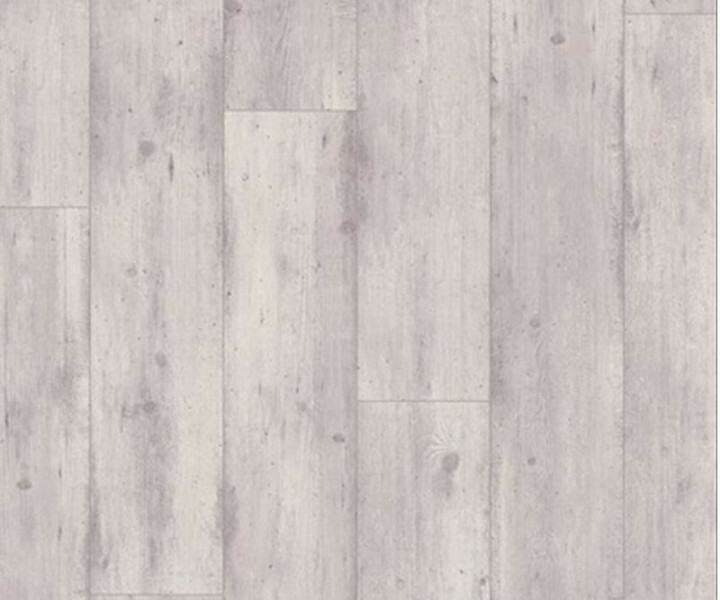 The flooring is 12mm thick, 190mm wide, 1380mm long.  Has a 25 year warranty and a wet area warranty of 10 years.